This time of year, the seasons are changing in Illinois. That inevitable drop in temperature sends an important signal to homeowners: it’s our last chance to complete those fall home maintenance projects before chillier weather arrives. If you’re like most homeowners, you probably have a few repairs or maintenance tasks you’d still like to complete before the weather gets too cold. If you’re a new homeowner, you might even have some questions about where to begin. Here are some expert tips and advice for homeowners on home repairs and preparations to make just in time for the cooler seasons. 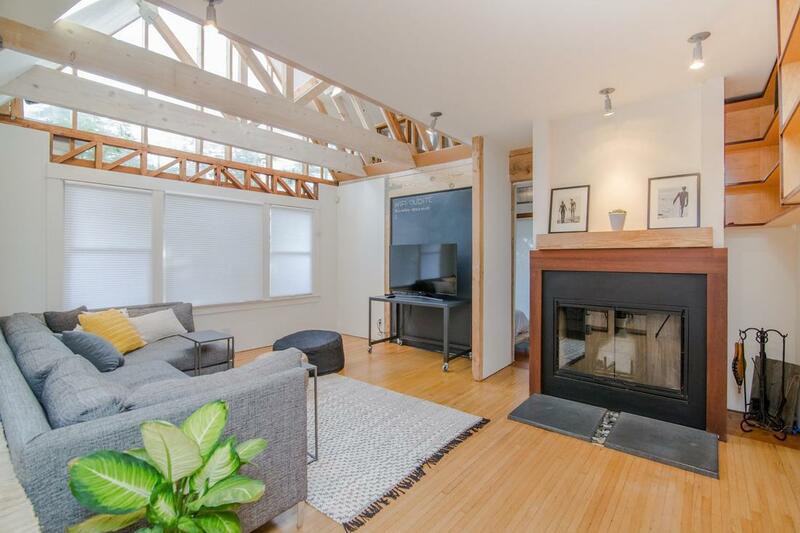 Your chimney and fireplace will undoubtedly be getting more use in the coming months. It’s best to be proactive and have them professionally inspected and cleaned before it gets too cold. 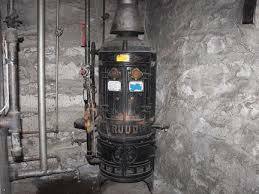 For example, the average cost to clean and inspect a chimney or fireplace ranges from $146 to $670 in Naperville, IL. This is an important and affordable way to ensure your home is well prepared for cooler weather this year. Damaged pipes cost homeowners billions of dollars each year. That’s a shame, considering this is one of the easiest repairs to avoid. For starters, you can insulate your waterline pipes using special materials such as pipe sleeves, heat tape, or even one-fourth inch of newspaper. 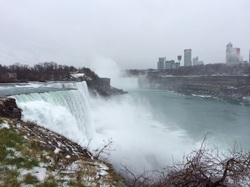 Another thing you can do on cold nights is leave your water faucets trickling. This will encourage water flow in your home. This is another affordable and easy task that any homeowner can do on their own. 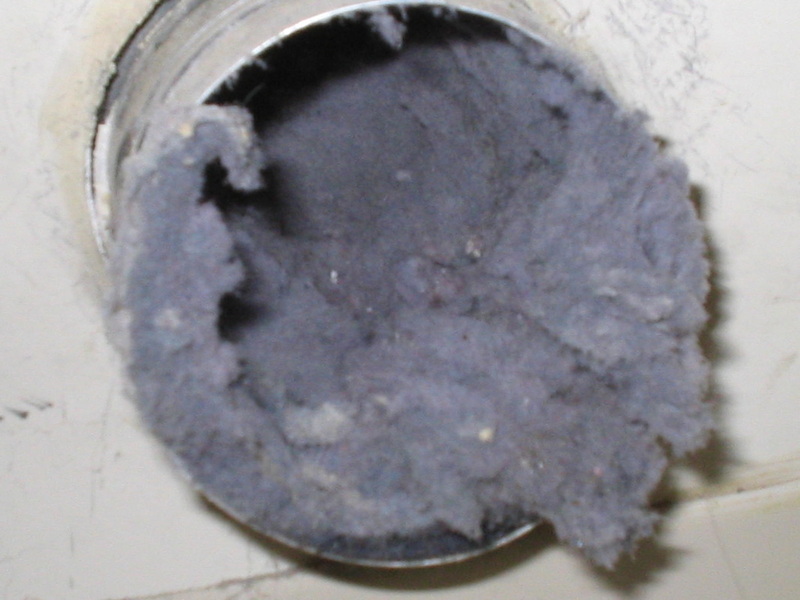 Ideally, your air filters should be seasonally replaced to help prolong the engine life of your air conditioner. By completing this simple task as the seasons change, you’ll help avoid costly repairs in the future. Replacing your air filter also improves your health by removing the nasty bacteria, viruses, allergens, and dust mites that love calling your air filter their home. 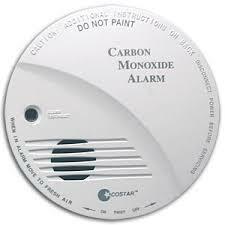 Carbon monoxide poisoning strikes three Americans each hour and kills hundreds every year. Luckily, this is a very preventable problem by purchasing a carbon monoxide test kit, a carbon monoxide detector, and smoke detectors for your home. Test your carbon monoxide and smoke detectors at least once per month, if not every week. You should also replace the batteries for your battery-operated carbon monoxide detector and smoke detector whenever you change the time on your clocks in the spring and fall. 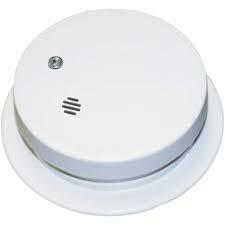 Remember, carbon monoxide detectors and smoke detectors save lives but only if we keep them in working condition. As you can see, many of these fall home maintenance projects are quick and affordable. Whether you complete your home maintenance yourself or hire a professional, it is important to take the time to walk through the steps listed here. Not only will it prepare your home for the upcoming cold weather, but it will also protect your family and your health. Hey Folks Welcome to the next issue of our lovely little Blog. I should start this one with an apology.I realize it has taken an extraordinary length of time to write and post this installment....I have no excuse except, that there is only one of me and lots of demand for my time and knowledge....I hope they perfect cloning technology some time soon.....In the meantime, sit back relax and read on. 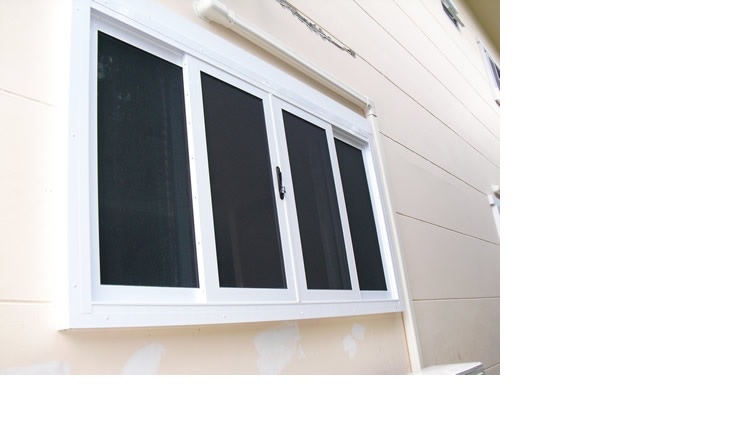 Window and door screens are your homes first and last line of defense against a myriad of bugs and critters. Mosquitoes, Gnats, fly's, and any number of other insidious creatures out to feast on your barbecue, or worse yet you....... I think it is safe to say we have all been there at some point, Sitting innocently on the porch; enjoying a nice cold drink on a hot summers evening, only to look down at your drink and realize that a Gnat or fly has turned your frosty beverage into their last resting place. Annoyed at the ruined drink, you ask yourself "how the heck did that get in!" in frustration you get up to survey your screens, only to find that little cousin Johnny, or one of your own kids has poked a hole in the screen material....Disaster,.... the flood gates have been opened....You can almost picture the epic army of insects amassing to invade your porch or living room. But fear not, for there is hope all is not lost... your screens can be repaired or replaced, And generally speaking, repairing or replacing your insects screens is not that difficult. With the right tools and knowledge even the gnarliest of tears can be remedied. Bear in mind, screens normally come in two different flavors Aluminum and or vinyl and also several different color variations to boot., however most screens I come across today, are the black vinyl variety. just make sure you are purchasing the correct color and type when attempting your own repairs. 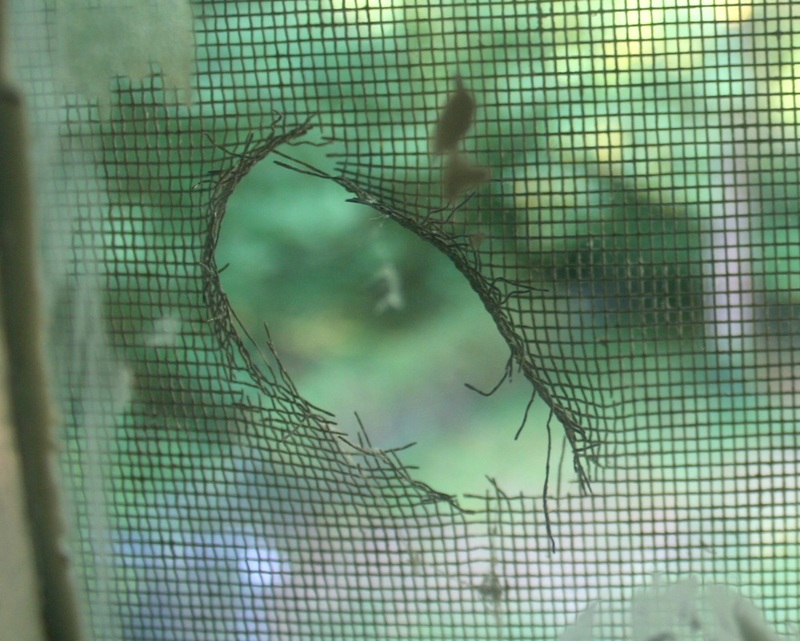 There are quite a few kits available to repair holes in screens. lets explore some of your options. Screen repair tape- Available from your local hardware store - usually around 9 0r 10 dollars a roll.. Simply cut and stick over affected area very simple to use. but will leave a tell tale sign of repair. and there are complaints of poor adhesion. still a good option in a pinch for small holes or tears. Screen mend Kit- Also available from your local hardware store. will cost about 15 dollars a kit. Very easy to use. Simply apply patch over affected area and heat with a hair dryer or heat gun on low setting. Screen mend does a nice job, although still leaves a slightly visible repair. Prime line repair patch- Available online at Amazon and in some retailers, this product is more like a sticker than a patch and is will not allow air flow through it. It costs about 5 dollars a package, you simply cut to size and peel and stick over affected area. It isn't a bad product however, the repair is noticeable and it isn't screen material. still OK in a pinch. Replacing Screens- if a quick fix isn't your thing, and you are going for a more polished look, then maybe screen replacement is a better option for you. This is just my humble opinion, but I think any hole in a screen over 3 inches warrants replacing the entire screen, This is especially true, if the tear or hole is close to the edge.. Screens can be replaced in their entirety, with just little knowledge and a few simple tools.although, there is a definite learning curve to the process. Here is a list of the tools you will need. Replacement Spline- make sure you match the existing spline diameter to the replacement spline you intend to purchase. heavy duty scissors or tin snips. replacement screen roll- available at any hardware store- again make sure it matches the existing screen material and color. flat head screwdriver and needle nose pliers. Find the end of the spline in the spline channel. The spline should start and stop in roughly the same area. Use the small headed tool to dig the end of the spline out of the channel and work the entire length of the spline out of the channel. Note: Over time the spline can dry rot so take your time as you remove it. Grip firmly with needle nose pliers and pull firmly but slowly. Remove the damaged screen and clean the channel out. This can be done either by simply blowing the channel out or using a paper towel. I prefer WD-40 and a paper towel the tip of the needle nose pliers fits nicely in the channel.. Roll the replacement screen over the frame and cut it using the scissors so that there is approximately one inch of excess on all sides. Using the convex edge of the spline tool work the screen into the channel. Start on one edge first to get the edge lined up properly. Once the spline is started, use the concave edge of the spline tool to work the spline into the channel along the first side. Take your time to make sure you keep the screen as straight as possible. Make sure not to pull the spline as you work it into the groove because even though it makes it easier to insert the spline in the channel it will later retract leaving a gap in the channel. As you reach the corner, use the convex edge of the spline tool to work the screen into the next side. As you begin the spline down the next side of the frame use the small headed tool to work the spline into the corner. As nice as the spline tool is to use it is difficult to get the spline into the corner. Continue this all the way around the frame until you reach your starting point. Using the utility knife cut any excess spline off. Finish removing any excess screen by cutting the screen along the outer edge of the screen channel. While replacing the screen is not labor intensive, there is a learning curve to the task.. It is easy to over-tighten the screen material, while trying to remove any slack in the screen, Don't pull the screen too tight as you work it into the channel. This can, in some cases, pull the frame in. I would suggest not taking this up as your first DIY project. I hope you have found this post useful. As always please leave me your comments and suggestions stay safe enjoy the summer. Well here we are on our next Blog post, and to be honest, fate has played a hand in this months topic as will shortly be revealed. The picture above is of course, a set of washing machine supply hoses in all their rubberized glory. Now, generally speaking, we pay these ubiquitous hoses very little mind. They are usually installed when one gets a new washing machine and that is, as a rule the end of that......Or so we think.... Let me give you a little background. Upon hearing water coming from the Laundry room, she did what any self respecting homeowner would do and investigated. Horrified to find that water was gushing out from behind the washing machine, she sprung into action and attempted to turn off the supply valve. Unfortunately for her, the shut off valve had other ideas, and promptly came off in her hand . 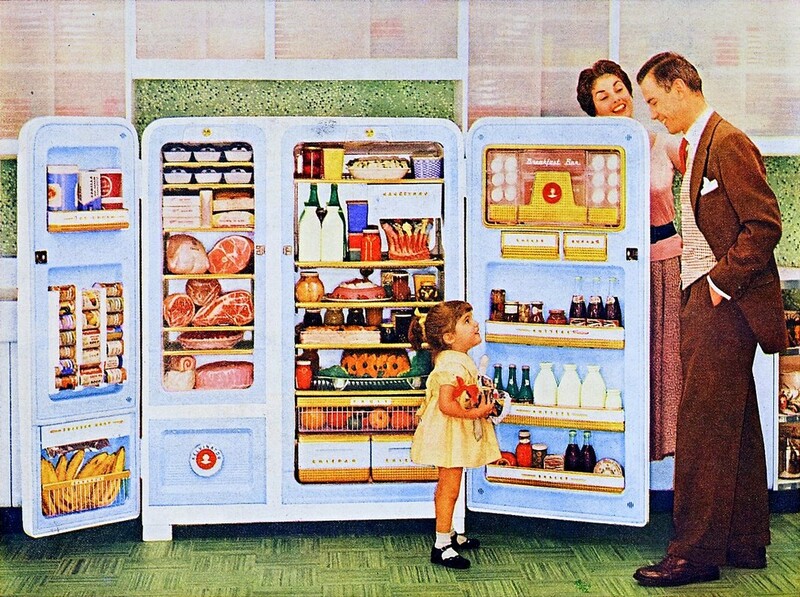 Unbeknownst to us, it had corroded to the point of critical failure. My now very damp and panicked Spouse resorted to grabbing a towel and trying to stem the flow water with one hand while screaming for help.... Now as comical as this all sounds, please know that 6 gallons per minute flow from a residential washing machine supply line. and this has being going on for the better part of 20 minutes. So at this point, my downstairs neighbor has now got a new shower in his living room.... Luckily for us, he was home at the time and upon noticing his new water feature called 911.. Fast forward another 15 minutes, the fire department has finally arrived and shut off the water supply to the building. Bear in mind, not before approximately 220 gallons of water, has escaped the confines of our plumbing system, and caused absolute bloody chaos. and a messy and inconvenient clean up. Being your benevolent neighborhood Handyman, I would like nothing more than to spare all of you from a similar situation. 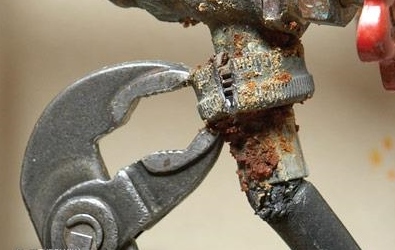 Pictured above is an example of a very badly corroded washing machine supply hose. if yours look like this or exhibits any of the following symptoms, then they should be replaced as soon as possible. Generally speaking you should replace your washing machine hot and cold supply hoses every 5 years. in my defense mine where only 3 years old ( failure attributed to by hard water and poor quality hoses.) 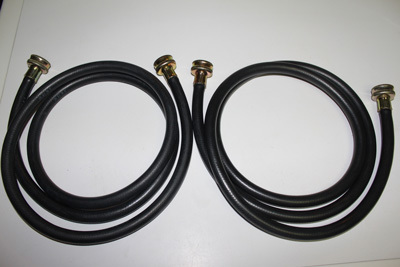 When replacing hoses, I would strongly recommend either braided stainless steel hoses or Floodcheck Brand hoses. 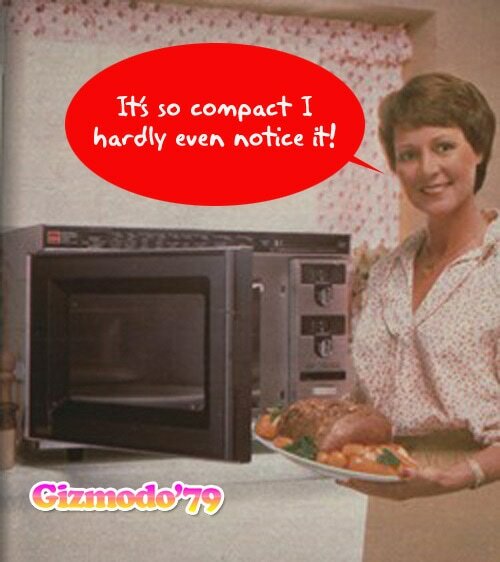 The ones supplied with your new washing machine are generally of poor quality. Inspect your hoses annually for early signs of deterioration. necessary to prevent kinking in the hose near the valve connection, where sharp edges within the hardware can cut into the inside of the hose . good condition, and use Teflon thread tape. off valve than a traditional screw type valve (which is also prone to leaking). A lever valve can be set up to shut off both hot and cold water with a single lever, which will make it easier to turn off the water supply when it is not in use, or in an emergency situation. Know How and Where to Shut Off the Water Supply. 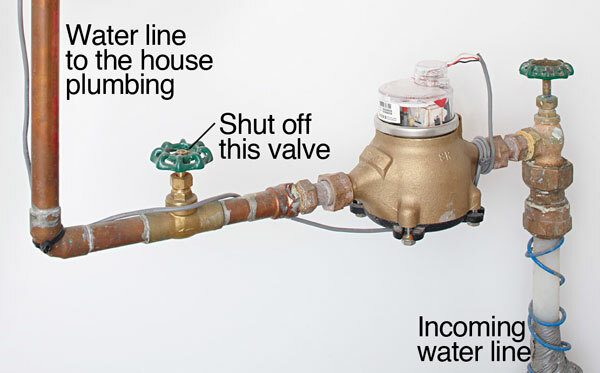 Know where the building’s main water shutoff valve is located, so that the water may be shut off if the control valves at the washing machine are inoperable. See image below for a typical household water shut off identification. Well that's it for this installment. I hope it has been useful and or educational, As always,please don't hesitate to reach out if you have any questions or comments.... I hope this installment serves to prevent any of you from a similar fate as was mine last week. It is time once again, for a new Blog entry and I am very excited to share today's post, as it is all about something near and dear to my heart ....tools. With the right tools and a little knowledge, there is very little which cannot be accomplished. Man has been fascinated by tools, ever since our Neanderthal ancestors had the bright idea, to strap a rock to a stick and hit things with it. That was of course, the birth of the humble hammer, the grand daddy of all modern tools. The advent of our earliest tools was also coincidentally, the catalyst which started the evolution of man as an intelligent species.....Well at least in most cases.. we all know evolution to be an imperfect science after all. Fast forward a few thousand years and we have a plethora of tool choices at our disposal. At no other point in our collective history, have we been so blessed with such variety and diversity of tools. Tools to build houses, tools to build cars, surgical tools, in fact; tools for just about anything you can think of. So whether you are already a die hard tool fan, or if you run for the hills at the mere mention of a socket wrench, we still have a lot to thank our tools for. I am often asked, what basic tools should I keep around my home? What Does a good tool kit look like? To which I might reply something like, a Hammer, screwdriver,wrench etc....But lets get serious for a moment and actually look at what would be considered a good basic toolkit for any home owner to have in their arsenal. I Have compiled a list of the basic tools that should be at your disposal, it is by no means supposed to be an exhaustive list. And as with anything these days, you really do get what you pay for. I firmly believe that if you spend a little more to get good quality tools, they should, with proper care last you a lifetime. Claw Hammer 16oz- Used for driving nails and pulling nails also for lifting floor boards etc. Phillips Head screwdriver- Quality pays here - used for tightening or removing screws. Flat head screwdriver- Used to fasten or loosen flat head screws.as with the previously mentioned Phillips head screwdriver, quality pays here. High quality putty knife- Used to apply paint, Spackle, or fillers. It is more flexible than a scraper and should not be confused with its stiffer cousin. High quality scraper 3inch- Used to scrape wallpaper and old finishes from walls and other surfaces. A very versatile tool with lots of other uses besides its intended use. Adjustable wrench- Most commonly used to tighten or loosen nuts and bolts, make sure you get one with a rubberized handle for comfort. Hacksaw- Used for cutting wood, PVC, metal and other materials. Needle nose Pliers- Used to twist wire and soft metal parts, and get into tight spots which other pliers cant reach. Slip joint pliers (channel locks)- Used for a variety of gripping tasks very versatile and handy to have for a wide variety of plumbing, electrical and automotive uses. again, quality matters here. Torpedo level 9inch- Used to check level when hanging pictures, and shelves etc. Tape Measure (locking) - used to make measurements for cutting wood and other materials and to figure out distances between objects. Quality matters on this item too. Flashlight- This is pretty self explanatory - used to illuminate work areas and for power outages, try to find a flashlight with at least a 100 Lumens light output. Utility knife- Used for making cuts in a variety of materials from backing paper to carpet and pretty much everything in between. Purchase one with a retractable blade and easy blade switching features. Step ladder 8ft or higher - used to reach inaccessible parts of your home for hanging pictures, cleaning windows and ceiling fan blades etc. Always practice ladder safety, ladder falls are one of the leading causes for homeowner injury every year. Dust mask- used to filter particulate matter out of the air when sanding or painting. Cordless Drill- Used to drill holes and or drive screws, possibly the most versatile tool to have in your toolbox. price points vary wildly on these, but they are a solid investment. Like I said at the beginning of this post, this list is not supposed to be an exhaustive list of tools, but simply the most basic that every home owner young or old should have at their disposal. With these, you should be adequately equipped to tackle the most common household maintenance and repair tasks which may arise. I hope you enjoyed this post. please leave me your comments and suggestions. and if you have any ideas for a post subject please by all means let me know, I love to hear your feedback.